Cities in the Danube River Basin, especially in central and lower Danube countries, are major sources of wastewater pollution entering local water bodies. EU legislation and local demands are driving them to expand treatment capacity. The related costs are significant, and many utilities need help in making the right price and investment decisions to pay for cleaner water. The 60,000 residents of Karlovac, Croatia, have never been happy about the untreated and stinky human and industrial waste entering the local MreÏnica, Korana and Kupa rivers. It has always upset their local pride. They've never liked how it affects the groundwater sources and shallow wells along the nearby Korana River used to supply part of the city's drinking water, or local swimming, fishing or boating. "Over the last ten years, some fish and crab have disappeared from the Korana River, my favourite fishing spot," says Ivica Kink, an employee with the local water company. "They are both sensitive to pollution so the wastewater was probably the reason." Karlovac residents wanted something done. The City of Karlovac is trying to bring them solutions. Besides local demands, the City is aware of other forces driving the need to improve local water quality. "One is that cities downstream from Karlovac aren't pleased about inheriting upstream waste - for example, the Kupa River is the main source of water for the town of Sisak," says Kresimir Veble, a manager at Karlovac's water supply and wastewater treatment utility where he's worked for 27 years. Another is a strong set of EU water-related laws that Croatia will need to meet if it wants to join the EU. These include the 'Water Framework Directive' and 'Urban Wastewater Treatment Directive (UWWT)'." The UWWT is designed to protect the environment from the adverse effects of wastewater from cities and the agro-food industry. "The UWWT is expected to be the most expensive EU water quality requirement to implement," says ICPDR Technical Expert Michaela Popovici. "In Romania, for example, it could account for over 45% of the total costs for complying with EU environmental regulations." One UWWT requirement is that wastewater treatment should be 'more stringent' in 'sensitive areas' where water bodies are 'eutrophic' - deprived of oxygen and thereby suffocating and reducing biodiversity. 'More stringent' measures could mean introducing, at a utility, 'tertiary treatment' that removes nutrients like nitrogen and phosphorus. Karlovac, now in the process of joining the EU, is expected to be declared a 'sensitive area' and therefore in need of tertiary treatment. "Because of these factors, Karlovac agreed to build a new wastewater treatment plant that includes tertiary treatment," says Veble. "And the sewer network will also be extended to more households. With significant costs." Wastewater from cities like Karlovac is a major cause of nutrient pollution, a serious problem in the Danube River Basin (DRB), notes the ICPDR's 'Danube River Basin Analysis'. So are agriculture and industry. These have led to severe ecological damage in the Black Sea. Large parts of the DRB are at risk of not meeting the objectives of the EU Water Framework Directive because of excess nutrient pollution. Municipal wastewater also causes excessive organic pollution, another key issue identified by the ICPDR. In response, measures to reduce nutrient and organic pollution will need to be taken by Danube countries through their joint DRB Management Plan, coordinated by the ICPDR. The ICPDR is currently in the process of developing 'Issue Papers' for both nutrient and organic pollution to guide the future programme of measures. An inventory of municipal wastewater treatment plants in the DRB is also now being compiled that will provide information such as location, pollution loads, treatment technologies and cost efficiencies. "From this data, we will be in a better position to identify the measures needed," says Popovici. "These will include basic measures such as expanding utility capacity and improving technologies, and supplementary measures such as making sure regulations are in place, monitored and enforced. 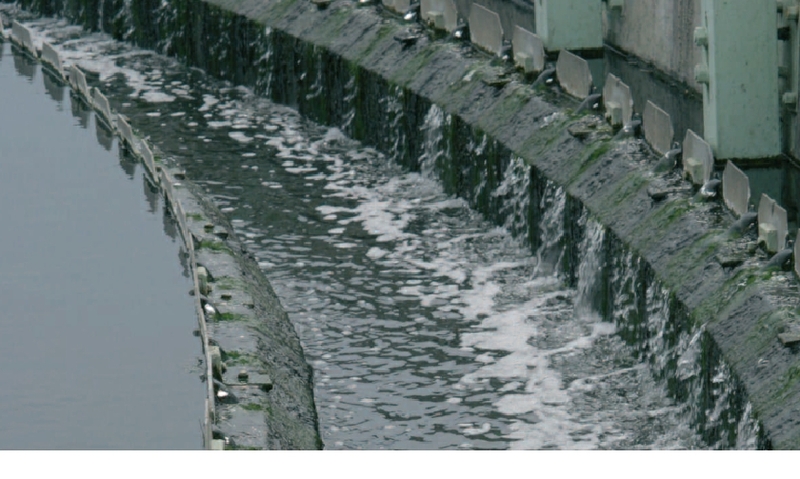 While sufficient wastewater treatment has already been developed in Germany and Austria, major efforts are still required for central and lower Danube countries." Not long ago, decisions affecting the Karlovac utility were made centrally by the state - typically the case for most former communist states in Central and Eastern Europe (CEE). Now the City decides. Also, the utility needs to cover its own operating costs including the maintenance of infrastructure. It can do that if the prices the utility charges its customers (household and commercial) for providing them with water and wastewater services bring in enough revenues. If, on top of covering current operating costs, Karlovac now wants to invest in improved services, it will need more funds through grants or loans, possibly from international donors and banks. Loans need to be paid back with interest. Karlovac will receive a EUR 22.5 million grant from the EC's ISPA fund, a EUR 10 million loan from the European Bank for Reconstruction and Development (EBRD), and a EUR 3.5 million grant from the Government of Croatia for a total investment budget of EUR 36 million. It will roughly be used as follows: water supply EUR 1.5 million; sewers and pump stations for wastewater EUR 14 million;wastewater treatment plant EUR 14 million; and technical assistance and contingency EUR 6.5 million. "We're involved in a number of water and wastewater projects throughout CEE, having worked at the subsovereign level (lending to municipalities and municipal companies) for some time," said Art Schankler, Senior Banker with the EBRD's Municipal and Environmental Infrastructure Team. "If a project meets our criteria, thenwe'll do our best to provide funding." Criteria include a utility's desire to switch to market economy practices and its ability to repay a loan. EBRD interest rates are comparable to the general market. Lending is not subsidized. The extra costs of financing will then be passed on to the utility's customers which usually means price increases are needed to ensure greater revenue flows -- not great news for customers. Planning the design of the new infrastructure and equipment is one difficult part - especially as the EC requires design completion by the end of 2006. This is also the first time a Croatian utility has built a new plant that includes tertiary treatment, so there is no precedent. As engineers, Kresimir and his colleagues are prepared for this task. However, as they're not really economists or financial experts, an even tougher part for them might be deciding on how to pay for the improvements. " The first step is for utility managers to take a good honest look at their true current costs and where they might be losing money now," says Andras Kis, a consultant working on the 'Tariffs and Charges Project' of the UNDP-GEF Danube Regional Project (DRP). "Things like losing water through leaky pipes or employing an oversized workforce." Reducing internal costs through a number of reforms, such as reducing leakage from old pipelines, could lead to more available money for investing in improvements. Usually, there are many opportunities for utilities in the DRB to improve efficiencies. The EBRD's Financial and Operational Performance Improvement Program (FOPIP) will be assisting Karlovac to improve internal cost efficiencies. "The rationale for this program is to reduce the risks of their not being able to repay the loan," says Schankler. "By making operations as efficient as possible, for example through improved bill collections, costs will be lowered, service will improve and prices will also be more affordable." Eliminating the big differences between prices charged to commercial and household customers is another EBRD goal. "Household prices were typically lower because it was easier politically to charge companies more," says Schankler. "This practice should be eliminated because it raises the cost of doing business above the true costs of providing the service." EBRD provided Karlovac with a 10-year time frame to eliminate differences, while allowing that some differences could be justified (e.g. 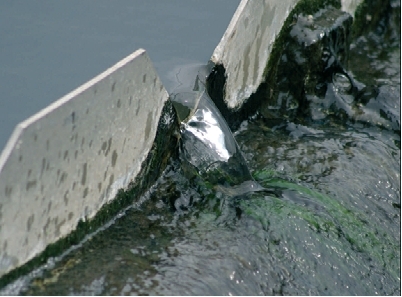 higher treatment costs for commercial wastewater). "The rationale is that businesses, to be economically viable, should pay market prices. In the long and short run, this benefits everyone." The next step is to determine how Karlovac will cover the added costs of financing the new investments for tertiary treatment and sewer network extension. What new reforms will need to be taken? What will be the end service price charged to consumers? This is very complicated given that there is a broad range of different and simultaneous considerations affecting decisions. For example, after a new tertiary treatment facility is built, the costs to operate the overall utility will most likely increase. Another possibility is that if the utility charges its customers higher service prices in the future, they could respond by using less services which would reduce overall revenues. "What if new customers are added to the sewer network?" asks Veble. "What if effluent charges paid to the government drop? How will the structure and timing for paying back the loan affect pricing? What if the national currency exchange rate changes?" Seeing that people like Kresimir and his colleagues lacked the necessary 'financial modelling' tools to assess these complex considerations, Karlovac was selected as a demonstration site for the DRP project. Pitesti in Romania is another pilot site. The project raises awareness among utility managers about possible reforms for improving operational effectiveness. It has also developed a mathematical tool named 'ASTEC' to test the impacts of a range of simultaneous considerations on pricing." At the start, we input existing cost and revenue data from Karlovac into ASTEC," said Kis. "One quick lesson learned was that the data was not ideal and improvements would need to be made, for example on data about unpaid bills. In that respect, the trial was educational. It was also useful to show utility managers how the process works and what the model is capable of outputting." "Using a tool like ASTEC could benefit the Karlovac utility," says Schankler. "Karlovac will be required by the EBRD to make five-year projections of costs and tariffs, so whatever assistance they could get here would be good. The model could also help with eliminating differences between commercial and household prices." What does the future hold? "Once Karlovac identifies and selects the potential measures and reforms it might implement, then these can be fed into ASTEC," says Kis. "ASTEC will then give them a range of various prices they can charge consumers for future services." Hopefully, prices that consumers can afford.